The court now contains no buildings of interest. 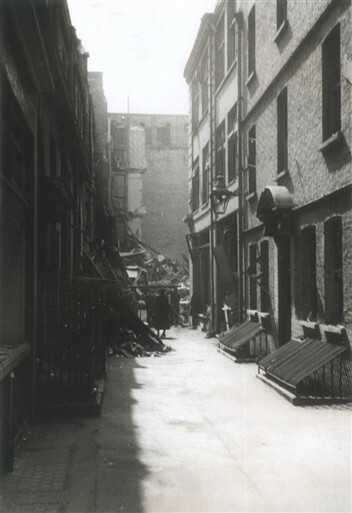 Adrian The caption on these old photos says Diadem Court looking toward Carlisle Street - but that's impossible as they are in parallel. This must be Great Chapel Street. Lorraine Michelle But the street sign says Diadem Court! Adrian Yes Lorraine but the photo captions say looking toward Carlisle St which is not possible. And Franco so the address of the "house next door" was no. 9? And for a teenager, it doesn’t get much cooler than that. Eleanor Mills salutes her parents’ decision to move into a former knocking shop in the notorious neighbourhood For nearly 20 years, I have held a conversational ace up my sleeve: my family live in Soho. Bang in the middle, to be precise, on a car-free oasis between Dean Street and Wardour Street. I can’t count the number of times I have fielded eager questions about what it was like to live there. I suppose, when you are standing around at night, desperate for a taxi or a night bus home, it’s a common fantasy to imagine how much easier life would be if you were a short stagger from your own bed. Growing up, this certainly made me and my four siblings popular with our friends – if not with our parents, when we brought hordes of them back in the early hours. When we were at university, the house became known as the “gentlemen’s club”. We liked to think it was the hippest, most exclusive after-hours venue in London – our very own Bar Italia, Wag and Groucho Club combined. I was a teenager when my parents found the house. They bought it in 1988 for £300,000. We had been living in Highbury, which my mother, Maggie, who worked in Soho, hated – she thought it was too far out. I’ll never forget my first glimpse. The downstairs had been used as a transvestite cabaret: the walls were covered in red Lurex and there was a dancefloor in the middle. The first floor had been a knocking shop. We opened a cupboard and numerous boxes of condoms fell out. The next floor up seemed even less salubrious (I won’t go there), and the staircase reaching up from there was barred – the house was derelict, with no roof, so looking up you could see the sky. We had a party before the builders moved in. It was the era of acid house and warehouse raves, and some of my friends had the appropriate expertise. We spray-painted the Queen Anne panelling with neon colours, got in ultraviolet lights, strobes and two mighty sound systems. At least 500 people turned up – it was one of the best nights of my life. Mum came for a while, but left us to it. Her only strictures were not to burn the place down, and that we had to have a bouncer. My friend Steve, a 7ft 1in American football player, did the honours: we had no trouble with gate-crashers. After that, the builders moved in, gutted the place and basically rebuilt the front and top of the house. 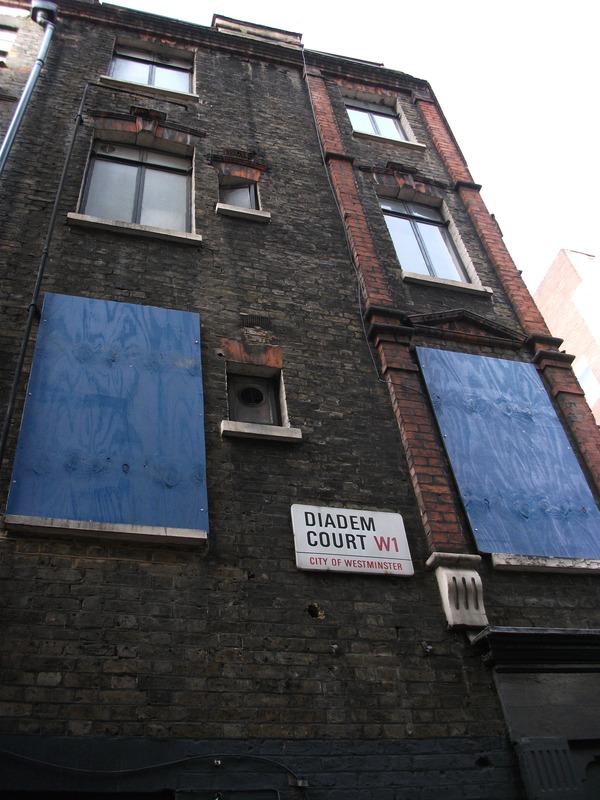 Unusually for Soho, we owned the entire building, including the freehold, which we bought for £140,000. My parents wrangled with Westminster council and English Heritage, as the house is Grade II-listed. Mum used to despair, fuming: “Do they want us to go back to bloody water closets?” Eventually, the chaotic brothel was transformed into an eccentric six-floor family house, with four or five bedrooms, several ensuite bathrooms and a stunning dining room that led onto the kitchen, all with the original panelling. (The neon has long since been removed.) All in all, we spent about £1m rebuilding and doing up the house. My parents were both psychoanalysts, so Soho, full of highly strung creative types, was the perfect place to practise. The patients would stream in and out all day long. We knew to scarper whenever the practice bell went. 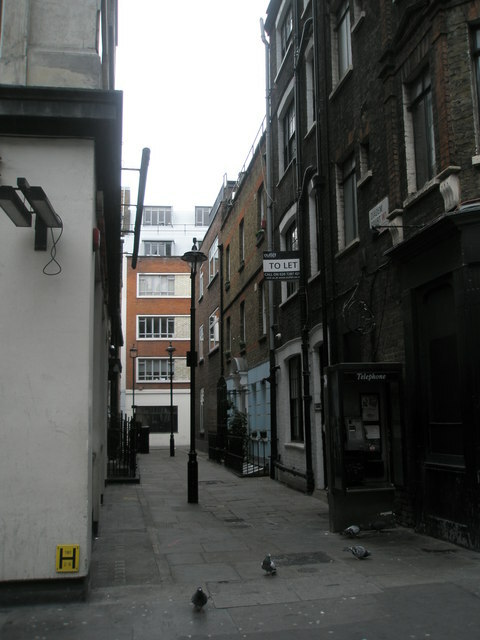 Although people think it is a crazy place for a family to live, Soho has a real residential community. Because most people in the area are passing through, you swiftly identify the other permanent fixtures, and they you. We were on great terms with our newsagent on Wardour Street – he loved my little brothers and was forever handing out sweets to them. But best of all were the market traders on Berwick Street. Every day, my stepfather, Peter, would go to the market to pick up something for supper. The stalls would sing with cries of “Hello, doctor” and “Hello, Sammy” as the traders greeted him and the family cocker spaniel. The double row of stalls, overflowing with fresh fruit, vegetables, flowers, savouries and sweets, was a jungle of sights and sounds. The stall-holders would entice customers with ever-improving prices, in a sort of chanting that gave the market its voice. Peter particularly loved Norman, who has probably the best stall in the market. “Hey, doctor,” Norman would say, as he whizzed around dealing with at least three customers at once. “I had this crazy dream last night, what do you reckon?” Peter would interpret, Norman would nod. And pounds of top-class asparagus, juicy tomatoes or his favourite frisee lettuce (always known as frizzy) would be placed in the basket at a knockdown rate. When I went there without Peter, I’d be serenaded with cries of “How’s the doctor?” When Peter got ill and was dying of the cancer that killed him, Norman and the others would load us down with treats to tempt his minimal appetite. When we tired of the market, Pat Val (Patisserie Valerie) was 50 yards away. There weren’t many other customers in there in their pyjamas first thing, but they knew us and would have the brioche ready. And when there was no food in the fridge, the choice of restaurants on the doorstep was unbeatable. Family favourites include Saigon, a fantastic Vietnamese, and Furama or Ming, in Chinatown. We’d be dragged away from our homework on a school night and taken there for supper when Mum and Peter couldn’t face cooking. The crispy duck, lemon chicken and snow peas were part of the fabric of our family life. We also got to know the tramps. Our favourite was Sean, a gentle soul who looked out for us at night, and whose sleeping bag we would dry on wet nights. The bouncers, too, outside their bars, got to know us. I never felt frightened walking home late by myself, because I knew all the locals. We were a special group and we looked out for each other. Every day, my younger sister would walk down Peter Street, through the hostess bars, towards Piccadilly Circus in her school uniform. A pimp would proposition her on the way there and back: “You look nice in that get-up, fancy a job?” It might not have been quite how most people grow up, but it doesn’t seem to have done her any harm. As well as its proximity to the best nightlife, restaurants and theatre the capital has to offer, Soho has other alluring features. It is a neighbourhood nourished by a constant flow of humanity in all its guises, doing business and seeking pleasure in the narrow streets. Sometimes we’d look out of the window and witness a tart “clipping” her client. This is when the girl says: “Give us £20 and I’ll go and get some booze, drugs or whatever before we go back to the room.” Of course, she takes the cash and never reappears. We used to love the faces of the fat, foreign businessmen when they realised they’d been ripped off. It seemed to work every time. Sitting in the panelled drawing rooms on the first and second floors, where my parents saw their patients during the day, the modern world felt a long way away. When I read Bleak House, which is set in Victorian Soho, I imagined the lawyers meeting in a panelled room just like the one I was reading it in. That is the beauty of living in Soho – plans are impromptu, people drop in, you can decide five minutes before a movie starts that you fancy going. And on a Saturday night, the buzz and excitement is almost tangible as soon as you step out of your door. But the great joy of the house is its serenity. On sizzling summer days, we’d repair to the roof terrace, where you could soak up the sun in perfect peace and privacy, yet still be able to nip out for a smoothie and be back in five. If a swim was required, then Marshall Street Baths were a few streets away, and Oasis Sports Centre, in Covent Garden, was five minutes’ walk. For the urban dweller, it is the ultimate in city living, and it spoils you for living anywhere else. I’ll miss it.